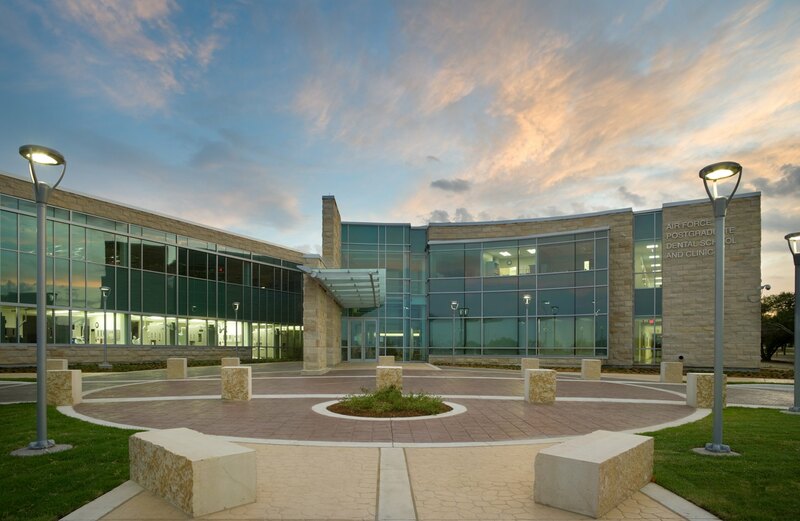 This design-build project entailed a complete replacement of the Lackland Air Force Base MacKown Dental Clinic. 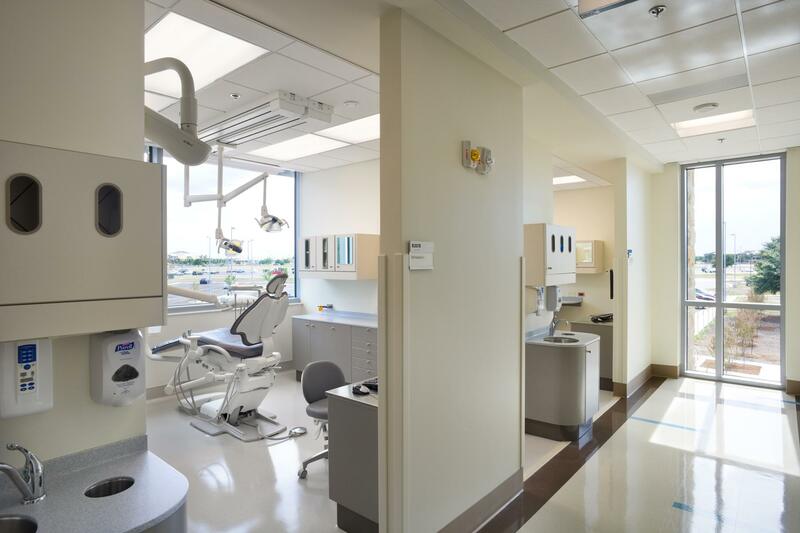 The new facility provides dental care, dental laboratory capabilities, support spaces and graduate education programs to include prosthodontics, periodontics, endodontics, and orthodontics residencies. 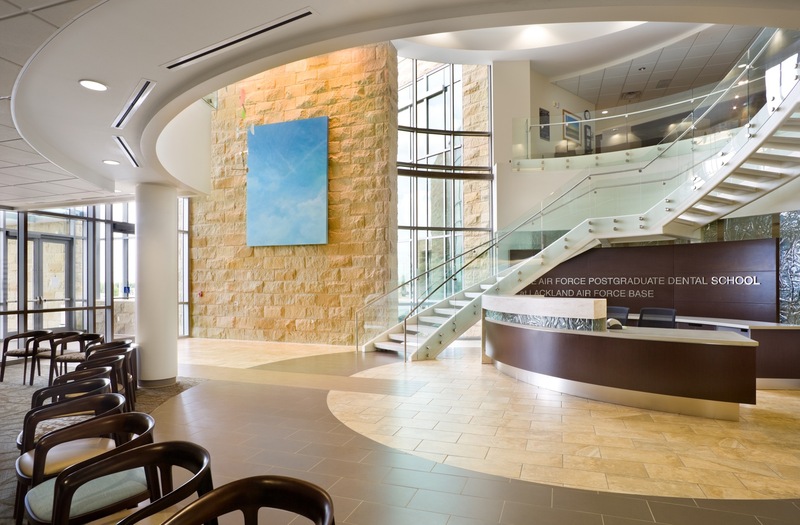 The design goal was to create a next-generation dental clinic where staff and patients are the center of attention and feature a warm, non-institutional, healing environment that balances the technological and code/criteria-driven requirements of 21st-century dental care. 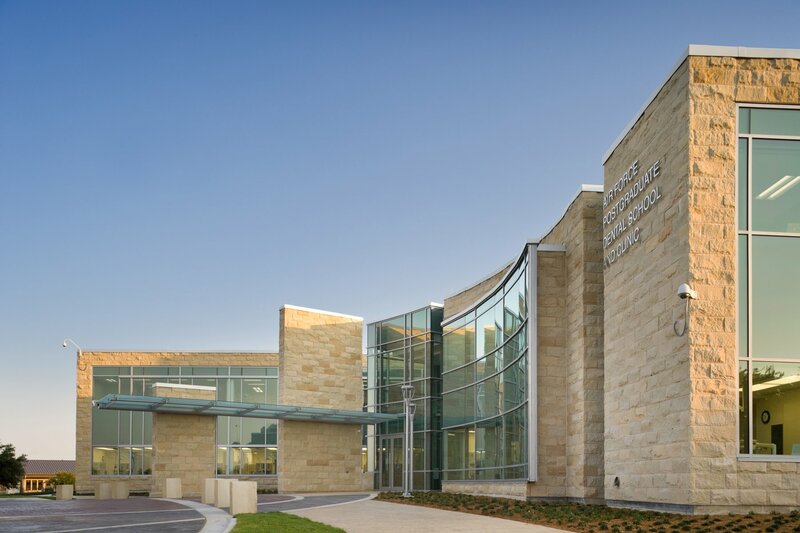 The entire building is configured to maximize daylight use, minimize travel distances and envelop the users in comfortable, non-institutional finishes while providing all required infrastructure for modern medical equipment. 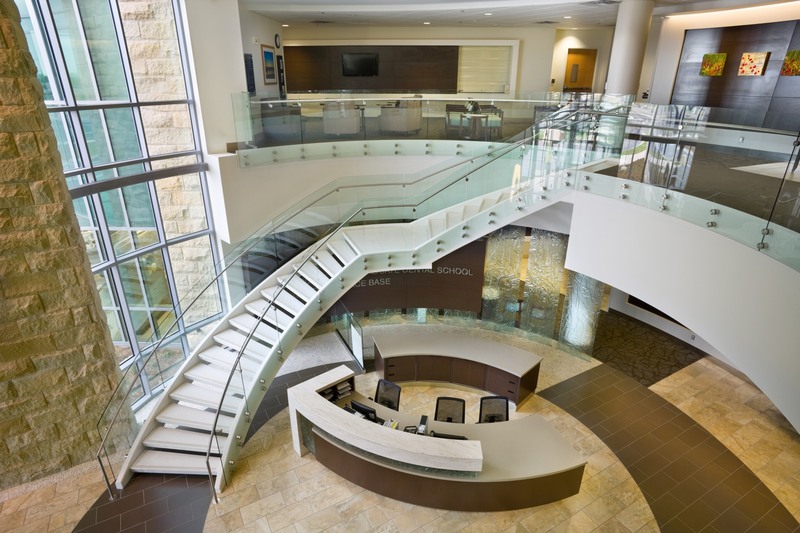 The design concept was derived from locating all dental treatment rooms (DTRs) on the most efficient operational, circulation, functional and daylighting concept. The DTRs form two, engaging C-shaped pavilion wings. This efficient geometry creates two pavilions joined by public spaces, support functions and vertical circulation. The shifted wings allow the public areas to align, minimizing patient travel and maximizing staff efficiency. 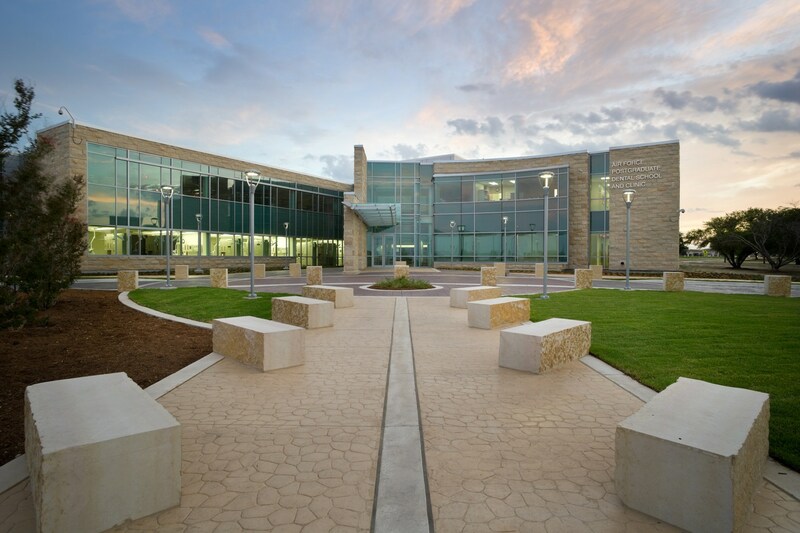 The massing is so distinctive, its shape is being used as a graphic basis for branding the facility. The LEED Gold-certified facility incorporates high-efficiency heating and cooling systems that far exceed code requirements for performance, as well as low-flow plumbing fixtures that reduce water consumption by 44.6% and reduce sewer flow. 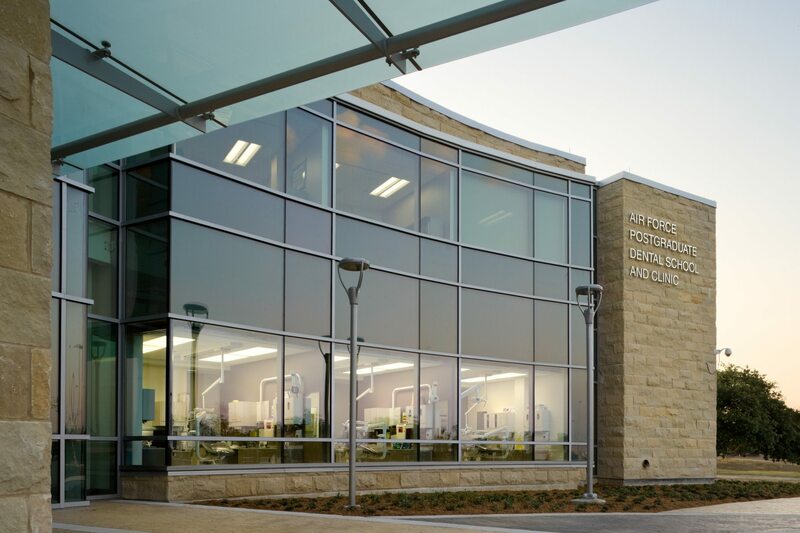 High-performance glazing uses daylight to reduce lighting load while improving indoor environmental quality. Other energy-saving features include daylight sensors, occupancy sensors and programmable timing controls.